The ReSound Micro Mic connects directly to any ReSound wireless hearing aid and extend the hearing range by up to 80 feet in clear line of sight. Extremely easy to use, the ReSound Micro Mic pairs to any ReSound wireless hearing aid within a few seconds. Now you can enjoy conversation even in background noise. 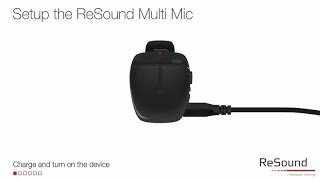 The ReSound Micro Mic is ideal for shopping trips, busy cafés or talking in the car. 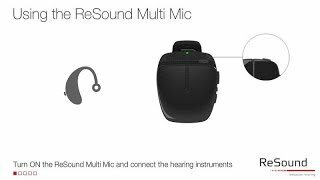 See how easy it is to set up the ReSound Micro Mic. Find out how easy it is to use the ReSound Micro Mic.